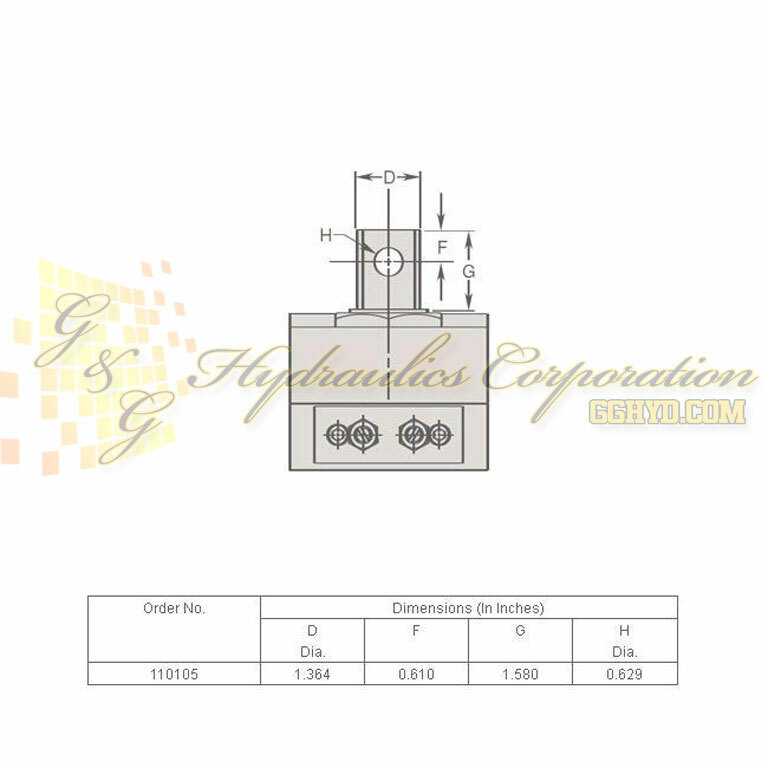 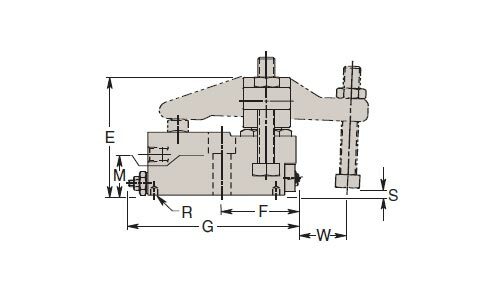 Part #110105 Swing Clamps, Block, Right,Force 8,295LB, Single screw mounting, Internal sequence valve. 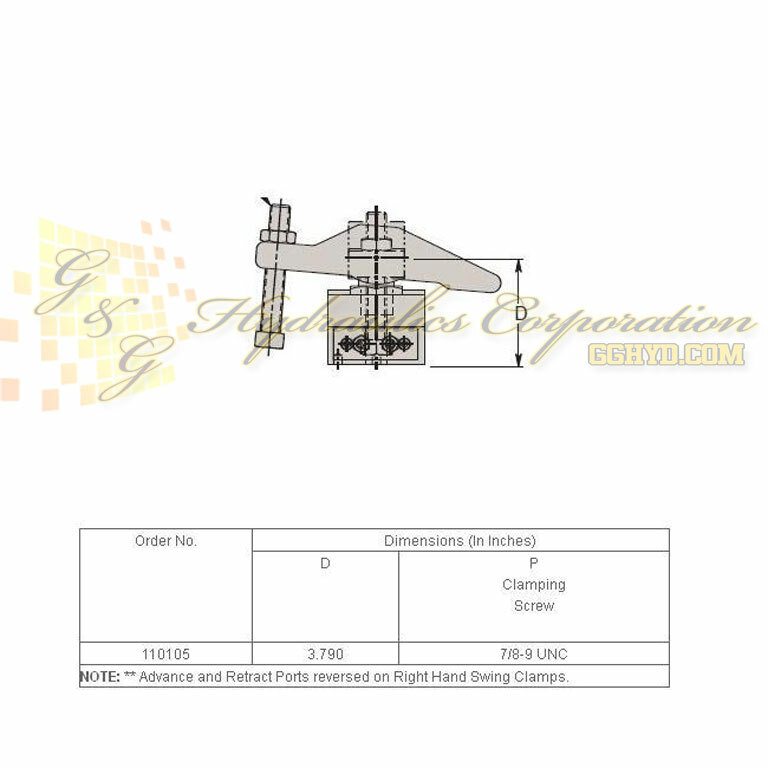 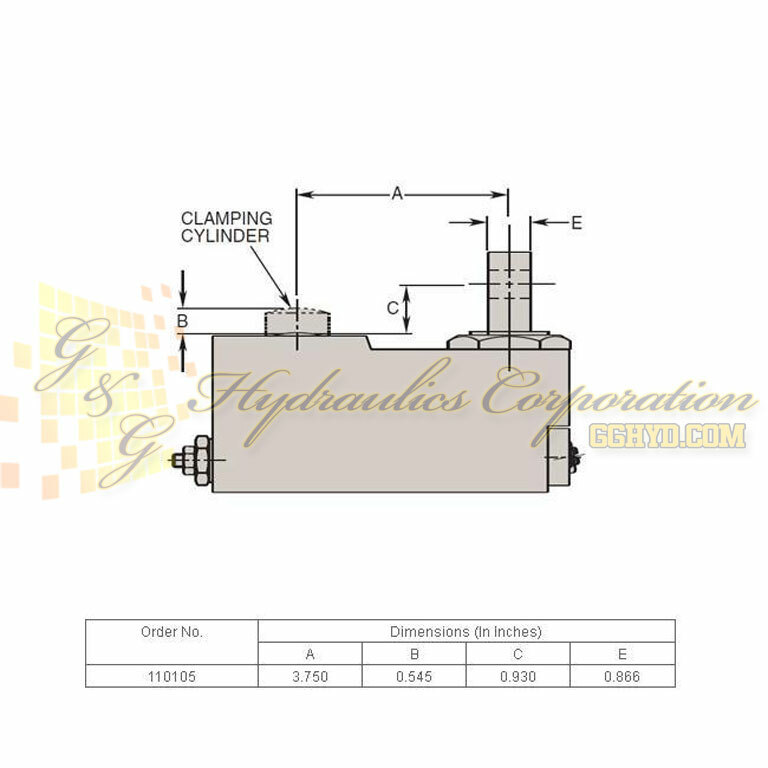 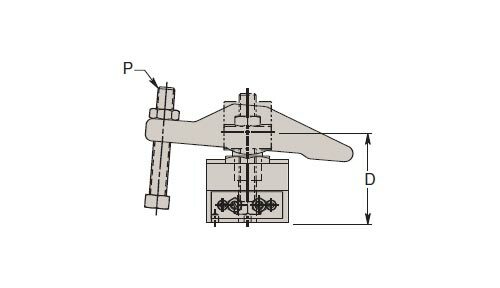 Note: Modified arms may not have the same workpiece clamping force as standard clamps. 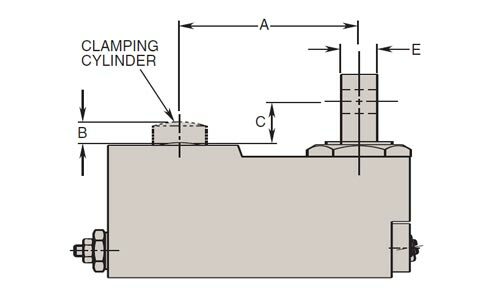 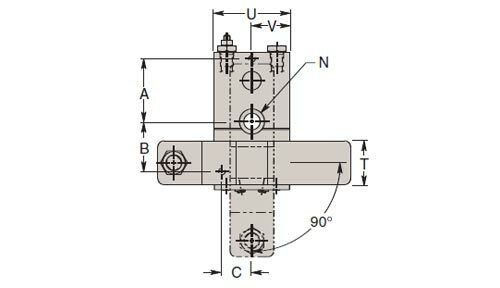 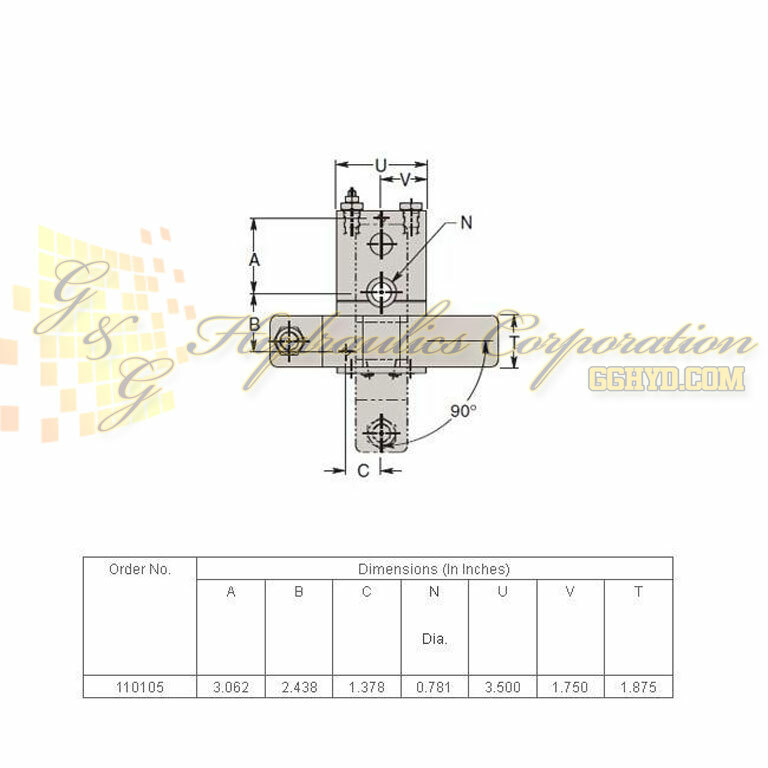 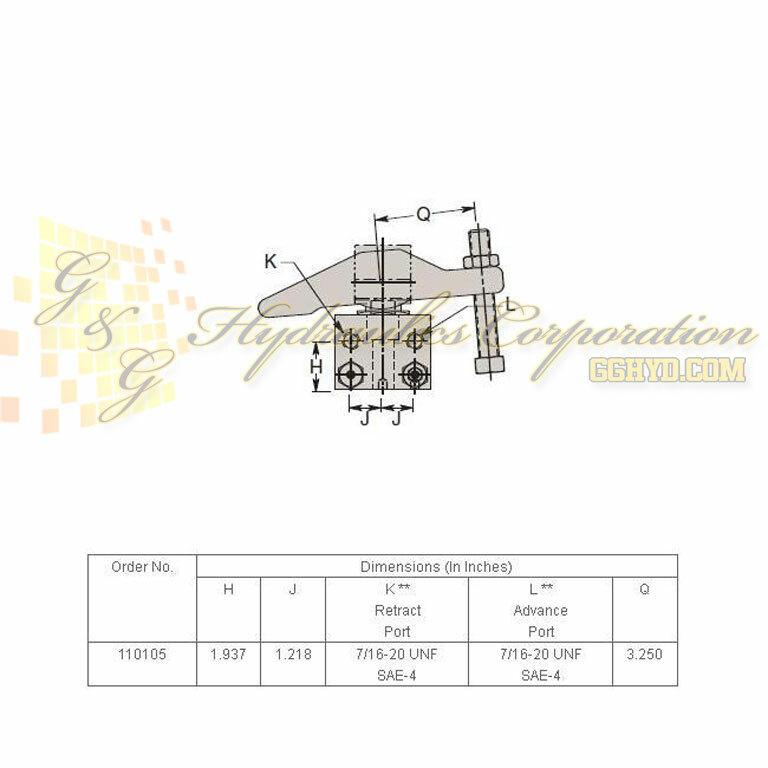 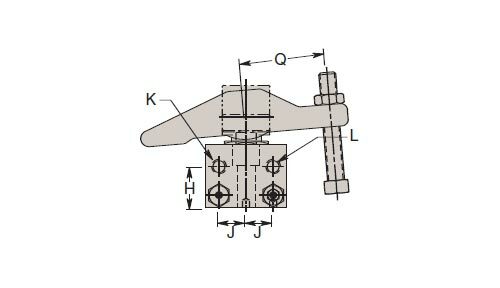 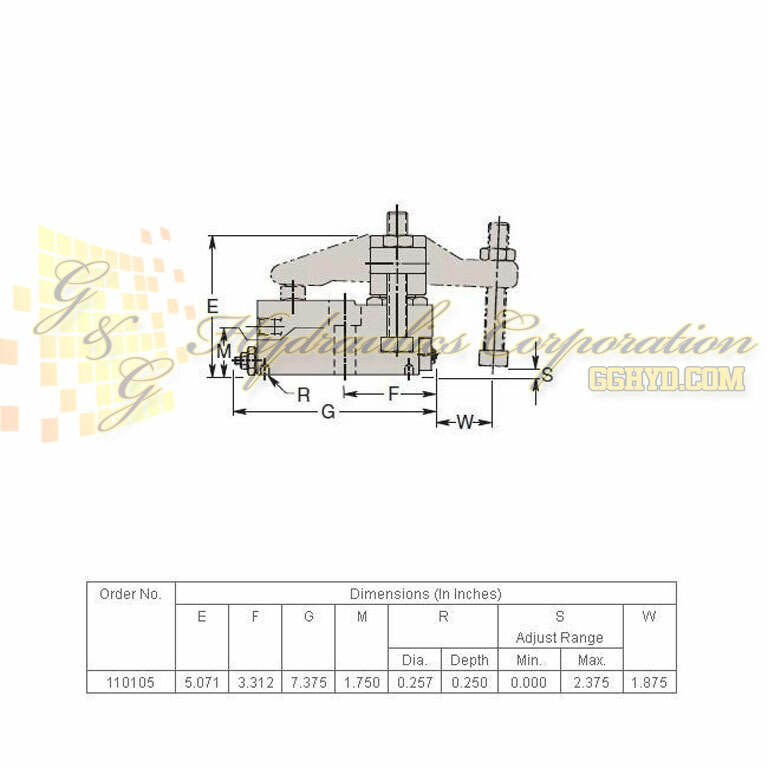 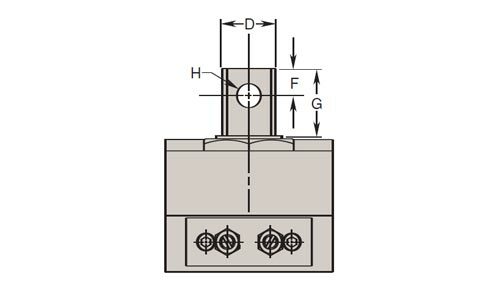 Clamping force may be calculated by using the dimensions and cylinder force data below. 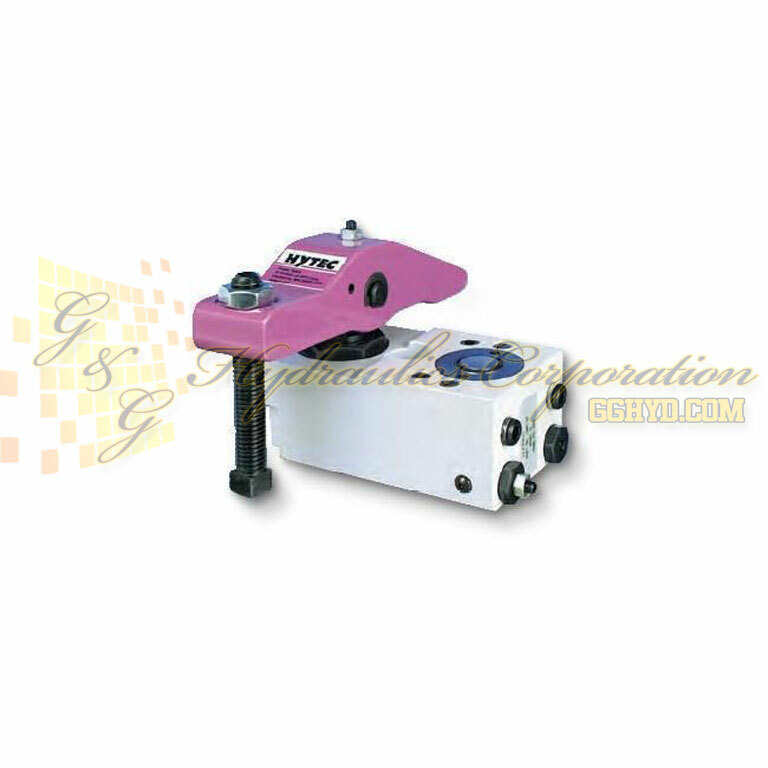 Any clamp using a modified or custom arm that is longer or heavier than the standard arm, must have its flow restricted to prevent internal damage.